Highs and Lows of Birding: Allhallows and beyond! 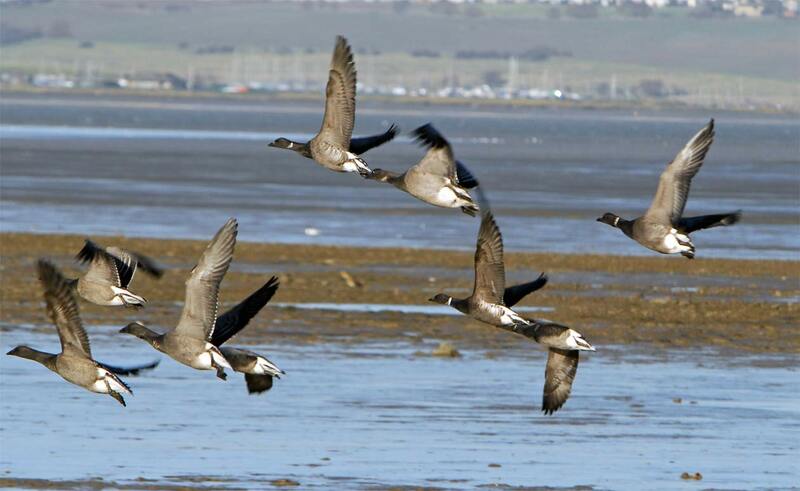 Brent Geese flying over the exposed mud flats off Allhallows with essex in the background. 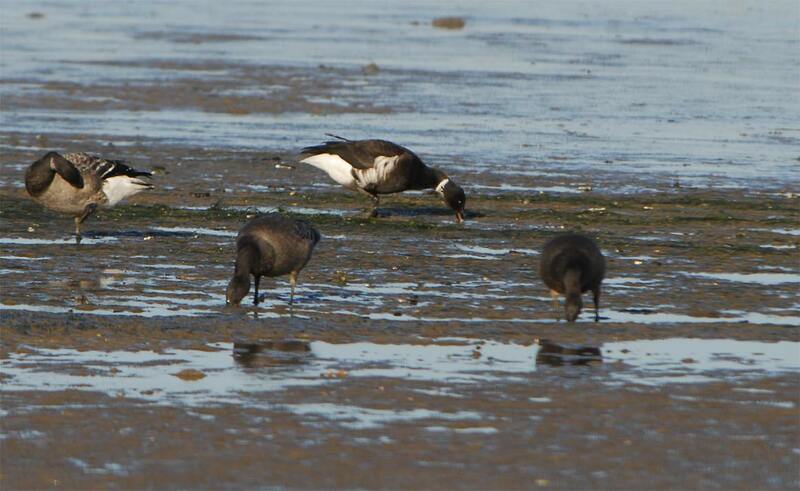 The Black Brant is the third bird in from the RHS. 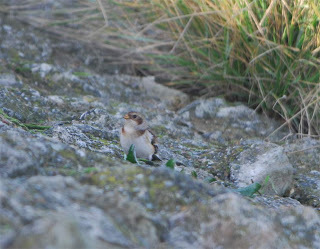 Saturday 1st Dec found me on the Isle of Grain wandering around in an attempt to see some good birds. First stop was St Mary's Hoo to check out the Biffa tip, complete with Gulls though only viewable as they flew to and from the tip. A scan across the marshes towards St Mary's Bay reveled very little bar ten Mute Swan and a Sparrowhawk. Next stop, Alhallows and a stroll along the foreshore by waking out from the British pilot pub. 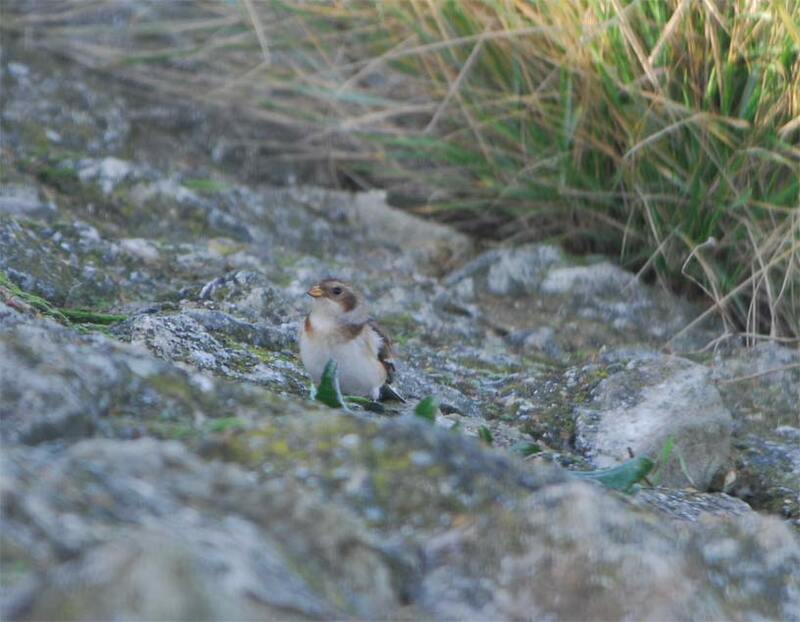 Almost immediately 2 Stonechat were seen and on the river side of the sea wall, 2 Snow Buntings that managed to remain in the shady part of the river wall and hence difficult to photograph. In the distance I could hear Brent Geese calling but failed to see any! 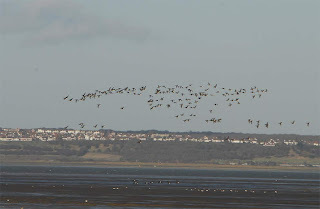 I walked westwards infront of the caravan park and located the flock of Brents on the foreshore. Within minutes I found a Black Brant that from a distance was easily picked out as a result of the very black plumage and the broad white neck 'cob web' collar. 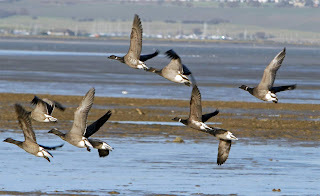 I walked close to the birds, 221 Brents plus the Brant. On getting closer to the bird it was still obvious but in the bright sunlight showed some brown tones at times on the upperparts. 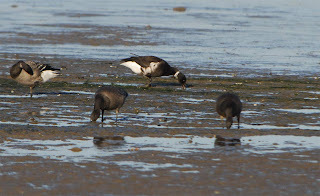 A search in the evening of Brant images illustrate that this is within range for a pure bird but there's always a nagging doubt that there may be some hybrid influence. 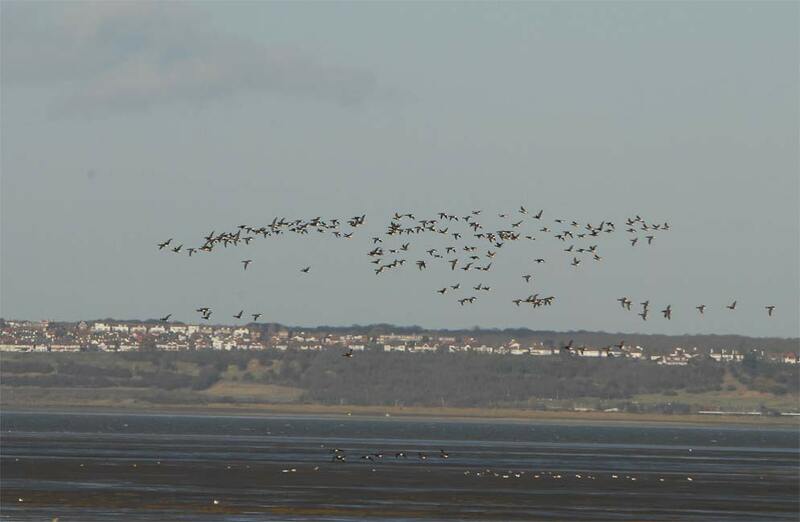 Other birds seen were 32 cracking Golden Plover and 200+ Black-tailed Godwits.